Whether you’re always on a diet or you’re a gym buff, checking your weight regularly is something more of us do at home and it’s good to have a reliable bathroom scale for this. 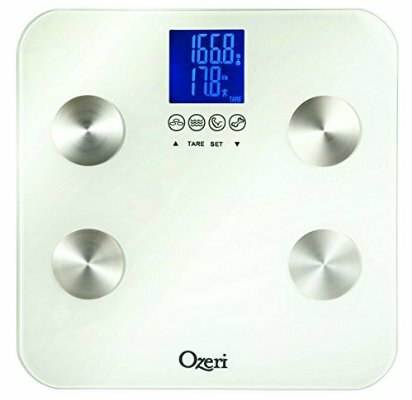 In this post we will reviewing the best bathroom scales for your home, based on their features, user interface and functionality because in today’s world of technology smart Scales help you to track not only your weight but also BMI, Fat ratio, lean mass and much more. Smart Scale comes with Wi-Fi and bluetooth connectivity which sends your readings to your smartphone so that it can be accessed anywhere and anytime. So which are the best bathroom scales for your home? Withings, a best bathroom scale available in market and also at a reasonable price. This scale has lots of functionalities including checking indoor air quality. Withings scale measure your body weight, body fat, BMI and heart beat with more modern technology. The device has a patented technology that warns you, if you are leaning more. It has four weight sensors which can give accurate reading of your weight. Body fat is analysed through Bioelectrical Impedance Analysis and heart rate through Patent-pending heart rate measurement. Withings has wifi functionality and is compatible with Wi-Fi 802.11 b/g/n, WEP/WPA/WPA2 and also has bluetooth connectivity to connect with smartphone. Withings realised Withings Health Mate app available for both iOS and Android, which is helpful in tracking your health conditions and keep record of it. Also you can email your records to your doctor or trainer. Also the scale is compatible with more than 60 apps and service. The device has a Large graphical display (2.4″ x 1.6″) and back lighting. This scale runs on 4 AAA alkaline batteries. With overall functionalities and price it is the best bathroom scale to buy. 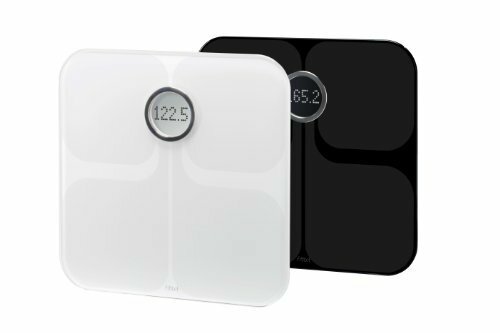 Fitbit Aria one of the award winning, best bathroom scale which helps you to know your body weight, BMI, lean mass and body fat percentage. Fitbit Aria works with wifi network and sync your data with fitbit.com by creating a private account for you. Fitbit.com is more likely a socialnetwork in which you can set your goals and based on goal completion you will earn batches, you can share that with your friends as you are fit. Fitbit.com also provides you the plan tool to burn calories and for healthy life. As you step on Fitbit Aria, it would automatically recognise you by your name as per registered. This scale can keep record of 8 users and ensure your privacy by creating separate account for each user. Fitbit Aria also has mobile apps which can interpret your readings to much understable graphs and you can keep a record of your readings. Fitbit Aria offers three trackers Everyday fitness, Active fitness and Performance fitness. Maximise your results by paring your Fitbit Aria with any of the tracker which suits you. EatSmart says, “The EatSmart Precision GetFit is not your ordinary bathroom scale”. Yes its true because EatSmart uses a technology called BIA (Bio-Electrical Impedance Analysis). BIA technology measures your body weight, BMI, Body fat and other readings by sending low-level electric signal through your body then measures the resistance of signal counters. The signals are really safe and will not be felt. The device can store upto 8 user profiles and also it has Auto – detection software which helps the scale to identify the user based on past weights and the device runs on 4 AAA batteries. The scale can measure upto 400 lbs and 3.5 inch touchscreen LCD display which makes it different from others.Also the manufacturer provides good customer support and promises 100% satisfaction. This is the another scale which uses Bioelectrical impedance analysis (BIA) which used to estimate weight, BMI, body fat, hydration, muscle mass and bone measurement. It also comes with stepon technology, it automatically power on with foot contact. The scale has three touch sensitive buttons for easy operation and four icons that automatically illuminate on screen for body fat, hydration, muscle and bone measurement. It utilizes four latest generation GX sensors which can weigh upto 440 lbs with more accuracy. This scale can also be used to measure infant or pet weight. The device can store upto 8 user profiles and with Auto Recognition Technology. The device has high contrast LCD screen and the device runs on two lithium batteries. The scale is made of impact resistant tempered glass which makes it four times stronger. Weight Gurus scale is the product of Greater Goods who provide warranty for the scale for 5 years and assures 100% satisfaction. The scale can measure your body weight, fat, lean mass, water weight and bone mass. Weight Gurus Digital scale is capable of providing accurate measurements with its 4 ultra-precision weighing sensors. It is capable of measuring maximum of 400 lb and it can keep record of 8 users. The device is designed with durable tempered glass and non-slip, scratch resistant feet. The display is Extra Large, Backlit LCD (4.3″) and runs on 4 AAA batteries. The device is also capable of smartphone tracking but its not upto the mark. 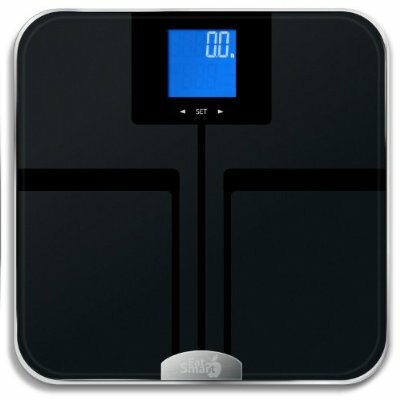 Even though this scale unpopular, its one of the best bathroom scale and it is perfect for gym. If you want know important aspects of body then this scale perfectly suits you as this scale promises to provide accurate reading of weight, BMI, Fat ratio, Muscle mass, water ratio and bone mass. Setting up this scale is no more complicated as this device can be configured in three easy steps right from your mobile. This device is also suitable for Android users as it supports android devices along with iPhone and iPad. The device is designed amazingly with no buttons and all its functionality can be controlled when you step on it or directly from your mobile app. The device is designed with a special glass which helps in getting accurate readings and also it gives a premium look to the device. Download the BlueAnatomy app available in App Store and Google Play. This app helps you to track your measurements and it automatically generates graphs based on your measurements. Also you can add note on the measurements which can help you remember about the reading. 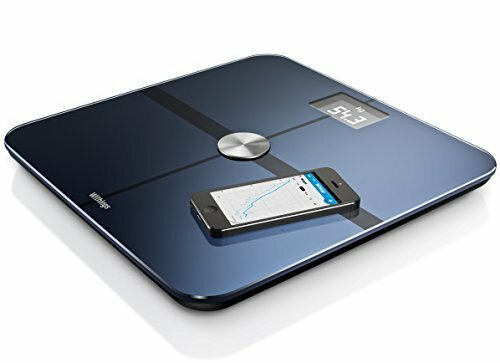 Again BlueAnatomy Wireless Smart Scale is one of the best bathroom scale which allow creation of unlimited number of user profiles. This device is highly suitable for gym or any other health community. The device can measure maximum weight of 396 lbs ( 180 kg ) and it runs on 4 AAA size batteries. 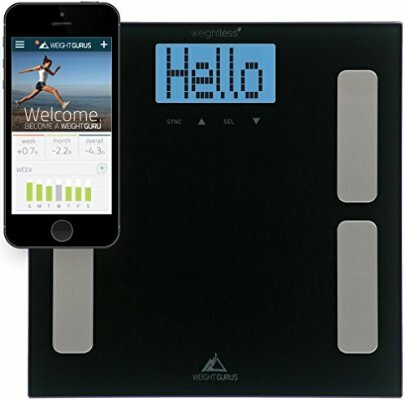 You can ask, why should you spend some extra dollars on buying smart scale while you can check your weight by buying a ordinary scale at low cost. What you think is absolutely true, if you want to merely check your weight then ordinary scale is quite enough but if you are to lose your weight or preparing yourself for any physical competition then you should have a smart scale. There are plenty of scales available in market. Based on scale features and functionality we have selected best bathroom scale from amazon, you can have a look on it. Even though every manufacturer says that their scale is the best bathroom scale, that is not true. Here are few things to keep in mind before buying a smart scale. Whatever the scale may be, whatever you may measure, the measurement should be accurate so that only you can have a correct record of your weight history. The best bathroom scale can remember your previous weight, detects the difference between different people who step on it, and offers data on your body mass index and body fat. Nowadays smart scale manufacturers create own fitness application that can help you to measure daily calorie intake, water weight and also you can get weight loss tips in the application. If a scale is used by whole family, the readings stored in scale can be protected by password which assures your privacy. As previously discussed, smart scales has own fitness apps or it is capable of integrating with any fitness app available in app market. The applications can help you to have a track of your readings and also the apps interpret the readings into graphs and charts which is easily understable and really help you to have a eye on your fitness growth. 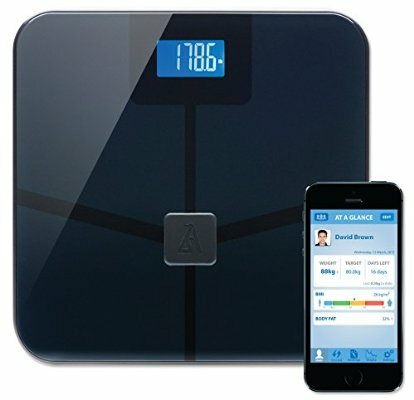 The smart scales comes with a wifi or bluetooth connectivity to sync your data with website or application of the smart scale. Mostly the bluetooth connectivity is available only for iPhone or iPad and also most of the smart scale manufacturers develop applications for iOS and sometimes for Android. So before buying a smart scale please ensure that the application or connectivity is available for your phone. Before investing money on some device, have a eye on its design. Some of the scale can have more features and functionalities but it would have a very worst design or manufactered in low quality material, which may reduce its lifetime and give you frustration. So be wise before buying a smart scale. There are best bathroom scale available in market which is made of impact resistant tempered glass which makes the device stronger and gives a better lifetime. Customer support is one of the important factor you should consider before a smart scale. Whatever the quality of the device may be, whatever strong, your device may give trouble to you at some point. At that time you need someone’s help, who is expert of your device, the expert is one who manufactured your device. So the customer service should be available at all time to help you, even at your doorstep. Some of the manufacturer provide good customer service to their customers, so select scale based on customer support provided by the manufacturer. After buying a bathroom scale, you will be eager to measure your weight. You have to check and calibrate some options in scale. A digital scale can give more accurate readings than any other scales and it is more sensitive to your movements so you have to stand correctly on the scale to get better readings. As like any other calculating machines, the bathroom scale also be calibrated. Let us discuss about some initial settings need to be done before measuring your weight. First of all, you have to set the scale to show zero. There will be adjustment option available in the scale like knob, slide or button to set zero. Once you set zero, now its time to check whether the scale measures correct weight. Start checking the device with known weights. Check with random objects of known weights, this will shows the accuracy of the device. The place, where scale is placed also influences the scale reading. The small movement in your scale can also affect the readings. So place it in the flat, solid place before measuring and its better to place the scale at one place, whenever measuring. If the scale you bought runs on battery, please use fresh batteries. The old batteries may spoil your device and wont give proper readings. Before installing batteries, check whether the battery terminals are in correct position and gives proper connectivity. If the device shows partial LCD readings, the connector may be loose, Open the back and make sure if it is connected properly. Be conscious, don’t drop or bang the scale around. This may damage the device fully or would show incorrect readings if weight sensors are affected. Also keep the scale away from water and fire. If the device shows improper readings or didn’t turned on, then the device need to be replaced. There are certain people, who always eager to weigh often. But is that correct? Absolutely not, actually weighing often would affect your improvement in one or other way. You would think yourself as more obessive. Weighing once a week is perfect. Always use the same scale to weigh your weight. Even though your scale is not calibrated correctly or show no accurate readings, you can see improvement of your fitness level by noticing changing numbers. If you use different scales, then you can’t track your improvement. Even though, the smart scale costs more than ordinary domestic scale it will give you more accuracy. As a rule, you will get, what you pay for, cheaper the scale, less accuracy they are. You know, your weight varies with time, your weight will be less in early morning, as the day moves your body weight too increase, reaches high at night. So it is always better to keep a standard time to measure your weight. Actually weighing before going to bed is correct time to weigh. When you weigh you with clothes on, you will notice some extra pounds. It is always better to weigh in buff or as much as less cloth or wear the same cloth whenever you are weighing. When you weigh after a hour of workout, you can notice weight loss, because your water weight of the body will decrease due to water loss through sweating. Your body may regain the water after sometime. So don’t weigh after workout. You know what, your scale can show you fake readings when it is not placed in correct place. Always place scale in solid surface like tiles or concrete. Try to use the scale at same place every day. Apart from this, don’t weigh when you are in fasting and if you are a girl then avoid weighing during menstrual cycle. Your scale will show inaccurate readings.